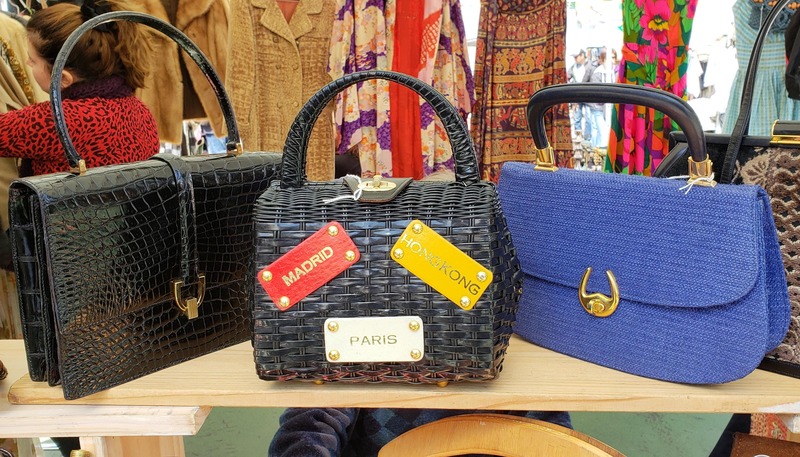 The best and brightest in unique and affordable vintage can be found under one roof at this year's annual Grand Bazaar NYC vintage pop-up event. Browse the racks of everything old-that's-new again across all of the eras, like delicious and silky smooth 1920s lingerie to funky '70s faux fur and all the styles you love (and love to hate!) about the '80s and '90s, too. Not into the clothing thing? Mid century furniture, rugs, antiques, vinyl, collectible cameras, and more are ready and wanting to go home with you, too. Jewels, handbags, denim, accessories, posters, tees and all the vintage oddities you love to joyfully discover will be here, too. The hunt is waiting ... what treasures will you find that are perfect for you? Between channeling your favorite superstar of a bygone era (be it the outfit, the home, or just the tunes), enjoy a yummy meal from our artistanal food court from salty, sweet and savory delights. This rare vintage-only event happens but only a few times yearly. Mark your calendars and we'll see you at the pop-up on March 10! Admission is free. But feel free to donate to our cause.